When you hear “metal roofing” you may immediately think of images of old-fashioned tin roofs, rustic, ridged and maybe even cheap looking. However, there have been huge advances in the design, construction and materials in metal roofing, thereby making these types of roofing systems more elegant, durable, and an increasingly popular choice among property owners. In fact, there are now lots of options available to customers depending upon the particular look you desire. They’re often made from recycled metals – such as tin, aluminum, copper and stainless steel – the surfaces can even be designed to look like traditional shingles, while still having a sleek, modern character. Metal roofs are known for their long lifespans. In fact, most of the time they come with a 30-50 year warranty and typically endure through the duration of any building structure. Also, they’re very light-weight compared to other commercial roofing materials, which makes for quick and easier installation times. This allows them to be installed over other pre-existing surfaces and eliminates the need for wasteful, time-consuming demolition. Weather Resistance: Due to their sturdy construction, they can stand up well to the elements. Whether it is hurricane level winds, insect infestations, or heavy, driving rain, they can stand tall through any type of weather. Also, they’re more rot-proof and rust-resistant (if they’re properly installed and galvanized). More Fireproof: They’re non-combustible, which should save you some expense on your property insurance premiums (unless they’re installed over pre-existing flammable materials, like wood shingles). And no, they are no more susceptible to lighting than other materials (lighting strikes at any high point no matter what your roof is constructed of, but if this includes your building, you might want to look into investing in a lighting rod). More Watertight: They’re great for sealing out any moisture, and due to their slick surface, snow buildup will slide off more easily than other materials. They’re Energy Efficient: They reflect UV Rays and sunlight during the summer months, saving expenses on your energy bills. And, although insulation is not used extensively in metal roofs, there should be a gap between exterior surfaces and the roofing structure itself. In the colder winter months, this gap provides ventilation and interior thermal reflection to help re-direct heat back in to your property. Of course, like any roofing system, they’re not perfect. But even their inherent deficiencies can be avoided. More Expensive: They’re not cheap (usually $200-$500 per every 100 square feet). But since they’re also very durable, if you plan onKeeping your property for a long time, there will be a great return on your investment (this also adds value to the price of your property). It Can Be Noisy: When it rains hard, it can sound like someone’s drumming on your roof. But there are ways to mitigate the sound: soundproof insulation or sheathing are a couple of options available. Prone to Denting: Metal roofs can be more prone to hail damage, but some products have guarantees against denting, or even against foot prints showing on the roof. Can Be Slippery: Although this slickness has its benefits, if you have to walk on top of your building, you may have to be careful and watch your step. But some metal roofing materials are textured to help imitate the look of shingles and other materials and can act as a slip guard as well as be architecturally pleasing. Metal commercial roofing is extremely easy to maintain to clean. But, it can also easily be scratched or dulled. If it’s painted (which it usually is) it will also chip, so you’ll need to have it re-coated every few years. Even though they’re usually leak free, some leaking can happen around joints and seams. However, if there is seepage, it’s usually not because of leaks but condensation that’s gathered under the surface due to improper ventilation put in during installation. So, for the initial installation and larger repairs, be sure to hire a qualified commercial roofer who has a lot of experience with metal commercial roofing. Its not a common roofing system, which is part of its appeal, but it also means it needs a specialist who is trained in understanding the unique construction and details, like their tendency to expand and contract over time. Metal roofing’s low maintenance and long life span make it a popular choice among building owners, but metal roofing doesn’t come without the need for maintenance. Hire a Professional Commercial Roofing Contractor. Roof maintenance can be dangerous. A professional commercial roofer will have the safety gear and experience necessary to complete your job correctly and without accidents. Have Your Roof inspected Regularly. Weather can weaken your roof’s protective materials. Hire an experienced roofing technician to inspect your roof for leakage and other signs of deterioration. Leaks can weaken your roofing system, resulting in a much more expensive solution – replacement. A professional will find potential problems and offer the best solutions. Trim Tree Branches. Falling branches from nearby tress can cause serious damage to your roof and other parts of your building. Tree limbs also drop moisture filled leaves and other organic material onto your roof. Too much moisture can cause your metal roof to corrode and leak. Call a tree trimming company to trim any branches that are hanging near your roof. Keep Your Gutters and Drains Clean. Clogged gutters and drains collect water and will damage the edges of your metal roofing system. Inspect your gutters and drains regularly to avoid built-up organic materials and blockage. If you notice debris clogging your drainage system, hire a professional – don’t tackle the issue yourself. 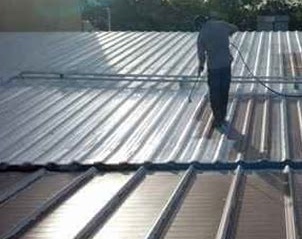 Armadillo Roofing & Exteriors provides commercial metal roof repair, commercial metal roof restoration and commercial metal roof installation services to Austin, Texas and the surrounding area cities, including Pflugerville. 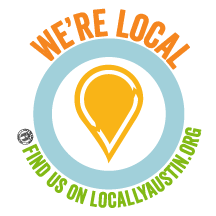 Give us a call at (512) 333-7663 if you have any questions about your metal roofing system.